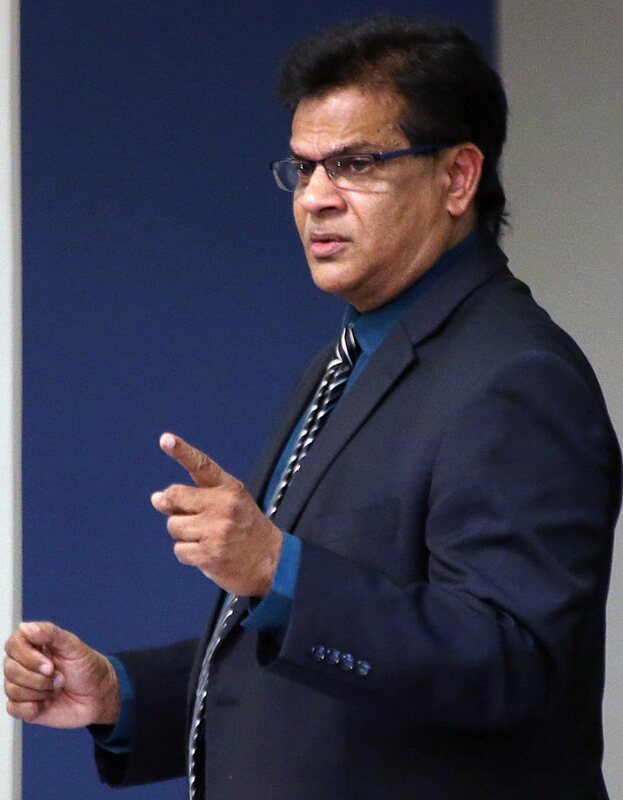 “I CALL on them to open the damn (Couva Children’s) hospital.” That was the demand from former health minister Dr Fuad Khan after reports that part of the ceiling at the San Fernando General Hospital (SFGH) burns unit had caved in over the weekend. Part of the ceiling of theunit at Level 1 collapsed early on Saturday morning. Four patients were warded there at the time but neither they not the staff were inured. As a safety precaution, everyone was temporarily relocated to another six-bed vacant area on Level 2 of the hospital. In an interview yesterday, Khan said there was no reasonable excuse for the continued closure of the Couva hospital, as it had been outfitted with a state-of-the art burns unit. “There is absolutely no reason for the government not opening the hospital, and right now it is bordering on heresy, for want of a better word, by denying the population the Couva Children’s Hospital and the specific items that are in that hospital,” he said. The larger issue. he said, was that “early assessment suggests the infrastructure of the entire floor may be compromised, which may warrant substantive renovations. Whether or not this is the case, however, it is clear that the San Fernando General Hospital is in need of repair and alternative arrangements need to be put in place to ensure the safety of the patients who are there to be treated for their existing ailments. Of the Couva hospital, he said, “While we do not suggest that this hospital is the be-all-end-all solution for the public health sector, in this instance the utilisation of these facilities could have prevented the calamity from occurring. He said two days before the San Fernando incident, there were also reports that the Point Fortin Area Hospital was left in darkness when the generator failed during a power outage. “Thankfully again, tragedy was averted by pure happenstance, but that luck will run out eventually,” he said. Reply to "Fuad: Open the damn hospital"